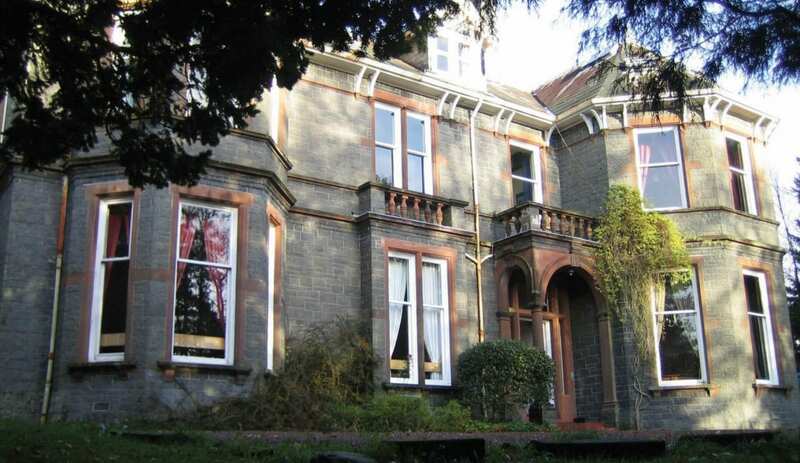 The Well Road Centre is a large Victorian house set in its own grounds in the charming spa town of Moffat. 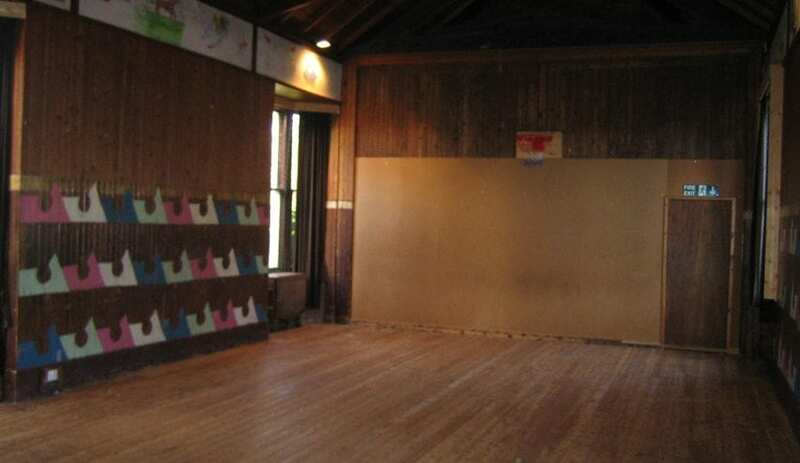 The centre is ideal for youth groups, adult groups, conferences, residential workshops, sports events, multiple family gatherings and outdoor activity clubs. All rooms are fully carpeted and centrally heated. The Centre has two spacious meeting rooms, a large bright self-catering kitchen fully equipped for 65, a games hall for indoor activities, a table tennis room and a snooker room. There are 13 bedrooms of various sizes, two of them with en suite facilities. Two separate toilet/shower areas for mixed groups. Bring your own sleeping bags or duvets. Ample parking for cars, minibuses and equipment trailers and the nearby park can be used for sports activities. Moffat is in the Southern Uplands, an hour from Edinburgh and Glasgow. An ideal area for golfers, bird watchers, walkers and cyclists, it is central to the 7Stanes mountain bike venues. All groups have sole use. This accommodation is featured on our map of the Scottish Borders, Glasgow, Edinburgh and South Scotland and here is its own website. 70: in 13 rooms (2 en suite). From £830 for two nights mid week for up to 30 people. £25 pp for 31+ . From £955 for two nights weekend for up to 35 people. £25pp for 31+. Check availability and send £100 deposit to secure booking. Office address: FAO Ben Larmour, Huntly Lodge, Well Rd, Moffat. DG109JT. From A74 take Moffat turning and enter the High Street (town square). Turning to the right around the shops on the south side of the square, follow Holm St to the T-junction. Turn left into Burnside, following up and right into Well Rd. Use DG109BT for your sat nav device. Trains at Lockerbie (16m). Stagecoach X74 route from Moffat to Glasgow Stagecoach 101 route from Moffat to Edinburgh. This accommodation allows dogs by arrangement, is available only to groups, has a pub within walking distance and is on the IHUK signage page. Well Road Centre Group Accommodation is central to the 7 Stanes Mountain Biking Centres! Experience some of the world’s best mountain biking stretches while staying at Well Road Centre Group Accommodation! The Hostel is central to Scotland’s 7 Stanes Mountain Biking Centres, which give you the opportunity to improve your talents, or learn a skill, while feeling the wind through your hair and the adrenaline through your heart on the thrilling stretches. Now that's what I call a games room ! Listed under period Victorian features, the games room at the Well Road Centre gives a feel for the scale of the place. 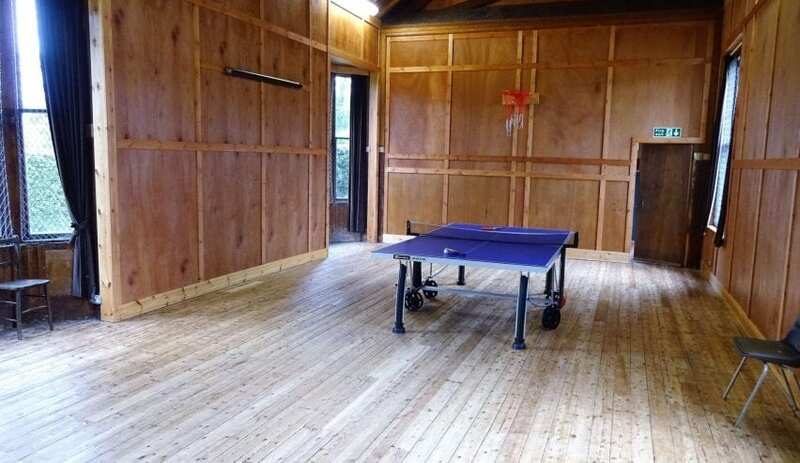 Listed under period Victorian features, the games room at the Well Road Centre gives a feel for the scale of the place. The Well Road Centre is a large Victorian house set in its own grounds within the lovely town of Moffat in southern Scotland. 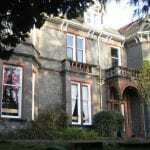 Sleeping up to 70 people in 13 rooms the large period house caters flexibly for the needs of groups, from youth organisations to holidays for large family groups. 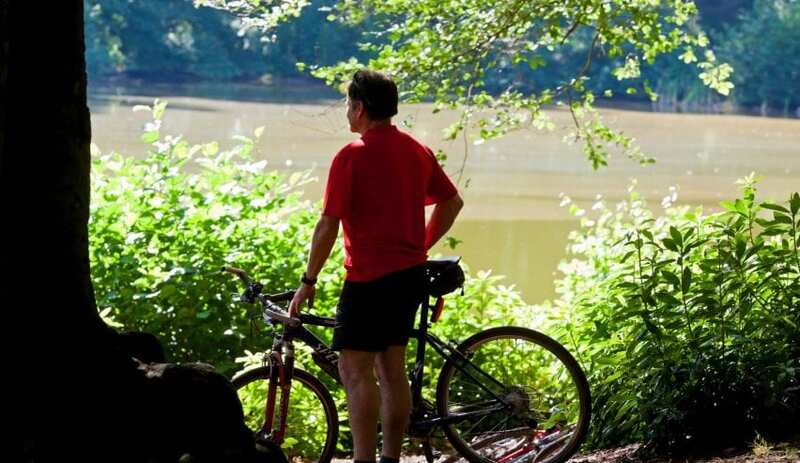 It also makes a great base for walking and cycling clubs to explore the quiet hills and rural roads in the area. Now that’s what I call a games room !